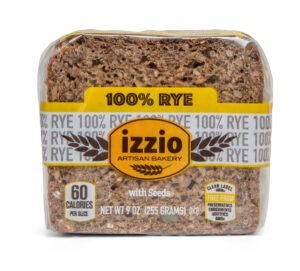 Izzio’s German Style 100% Rye Bread. Handmade in small batches using only North American grains, extended natural fermentation, special low temperature baking and a final curing stage. The results are a one-of-a-kind eating experience. 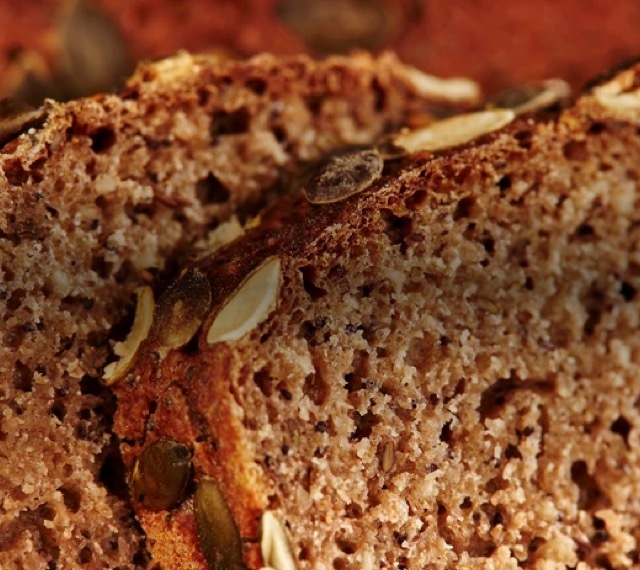 Nutrient dense and easy to digest, this bread is made fresh for you to enjoy straight from the package or toasted. 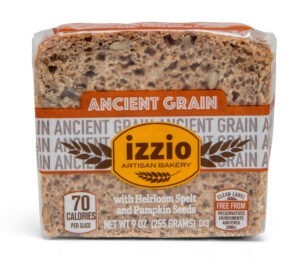 Introducing Izzio’s German Style Ancient Grain bread baked using only North American grains. Handmade in small batches, extended natural fermentation, high hydration, special low temperature baking and a final curing stage. The results are a one- of- a- kind eating experience. 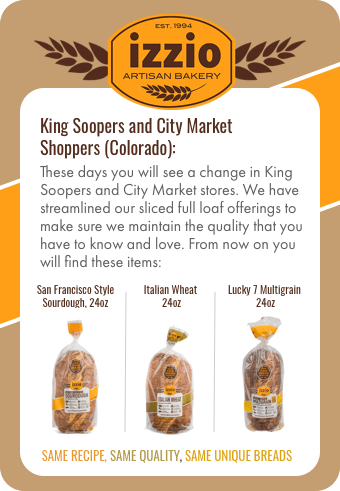 Nutrient dense and easy to digest these breads are made fresh for you to enjoy straight from the package or toasted. Cracked Spelt, Water, Pumpkin Seeds, Whole Spelt Flour, Sea Salt, Honey, Whole Wheat Flour.